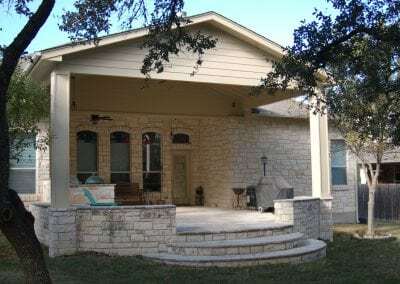 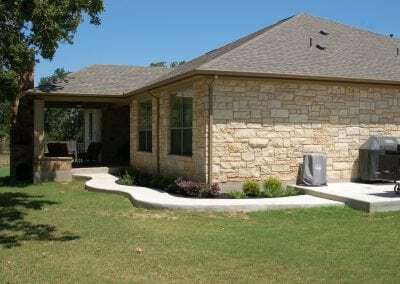 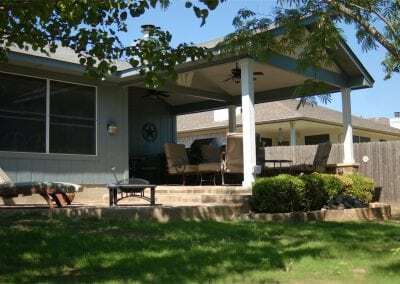 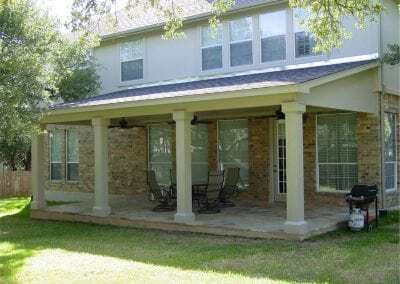 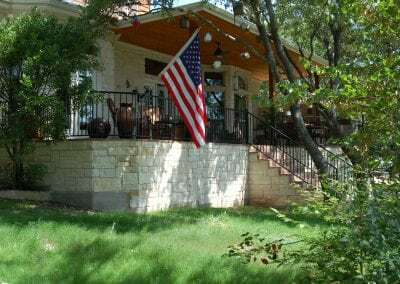 WA well-built and designed patio cover can add not only function to your home but can be a great investment in value to your home as the popularity of outdoor living spaces continues to rise. 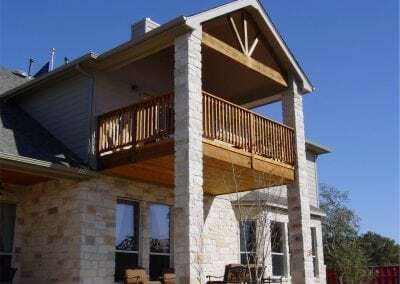 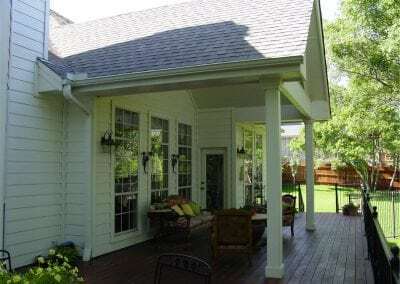 Patio covers come in a wide variety of styles and materials. 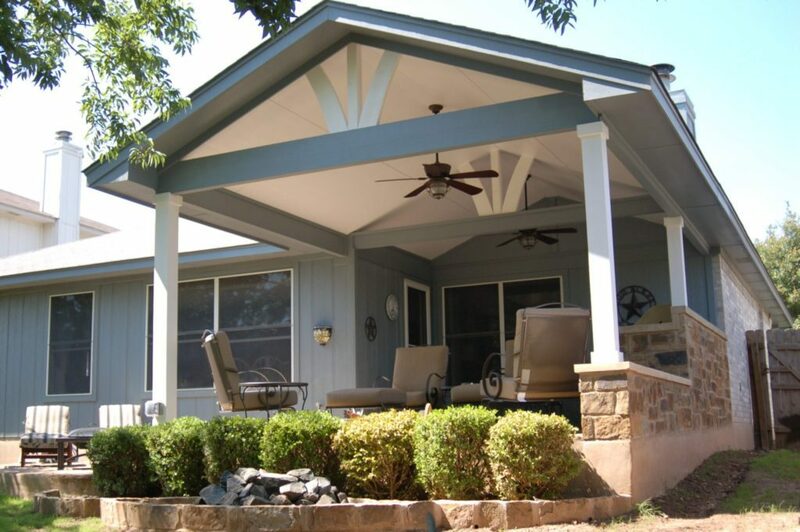 Aluminum is a lightweight and easy to maintain option, or, you can choose to have a framed and roofed patio cover that blends in more as a part of your home rather than an add-on. Compare the costs, convenience and durability of each of these options when making your decision. 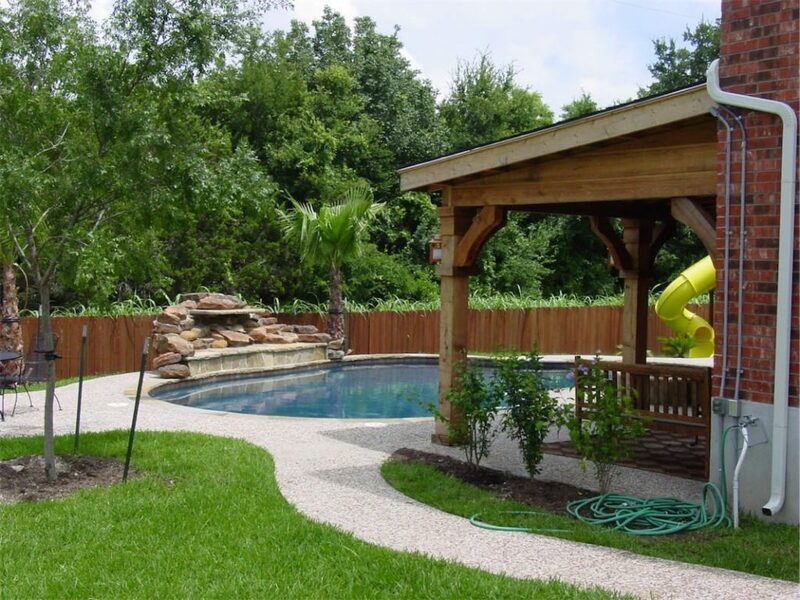 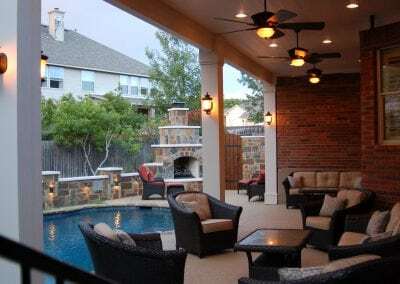 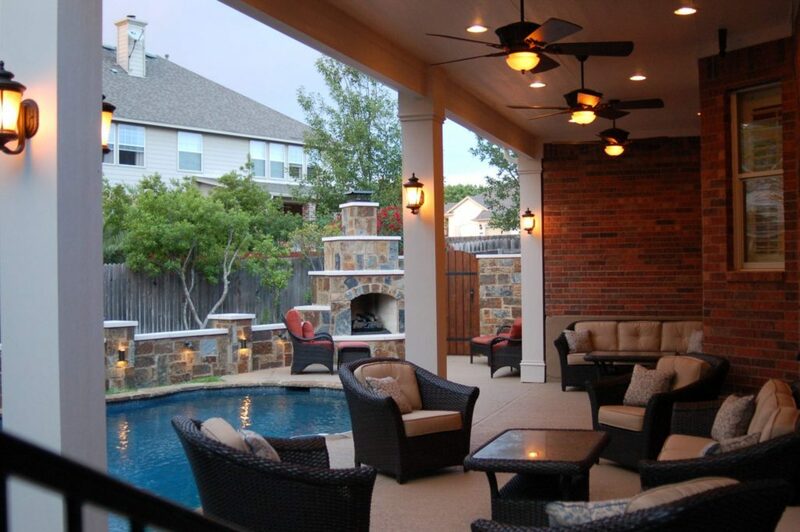 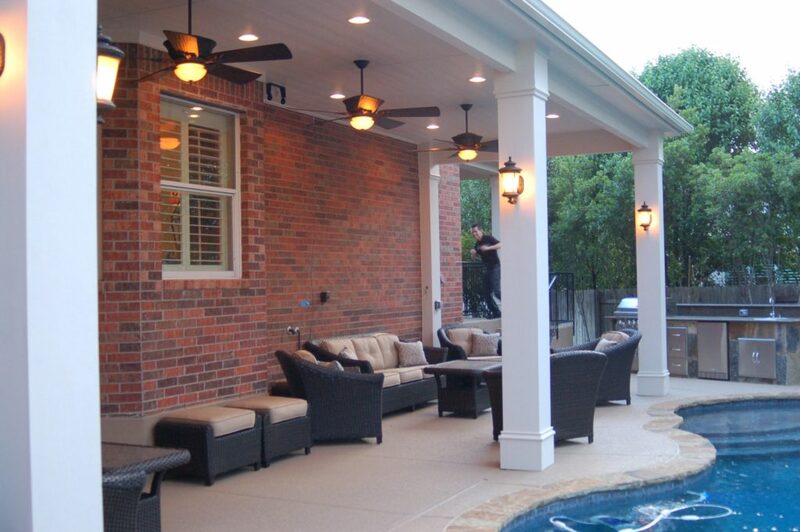 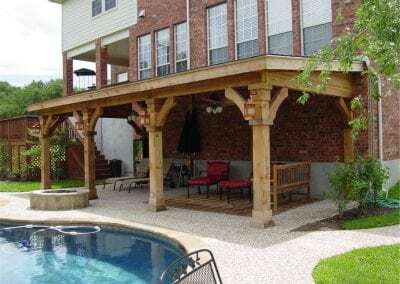 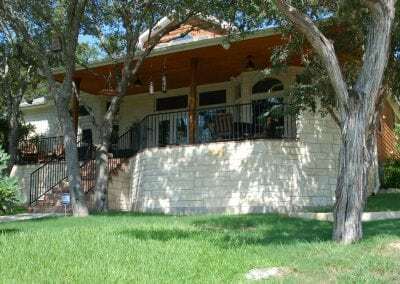 Look through the galleries to get a feel for how you want your outdoor living space defined and, discuss the options available with our designer, he will be able to recommend a style that will not only compliment your home and meet your outdoor living needs, but also, match your budget. 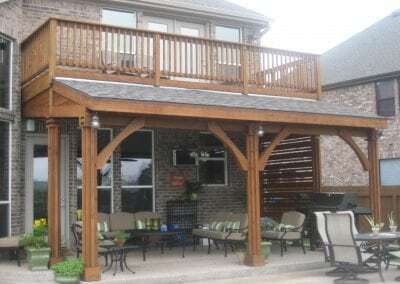 Patio covers generally offer complete coverage and protection from weather and sunlight; this gives you more freedom in choosing outdoor furniture but, keep in mind that it can also reduce the amount of natural light that you receive into your existing windows. 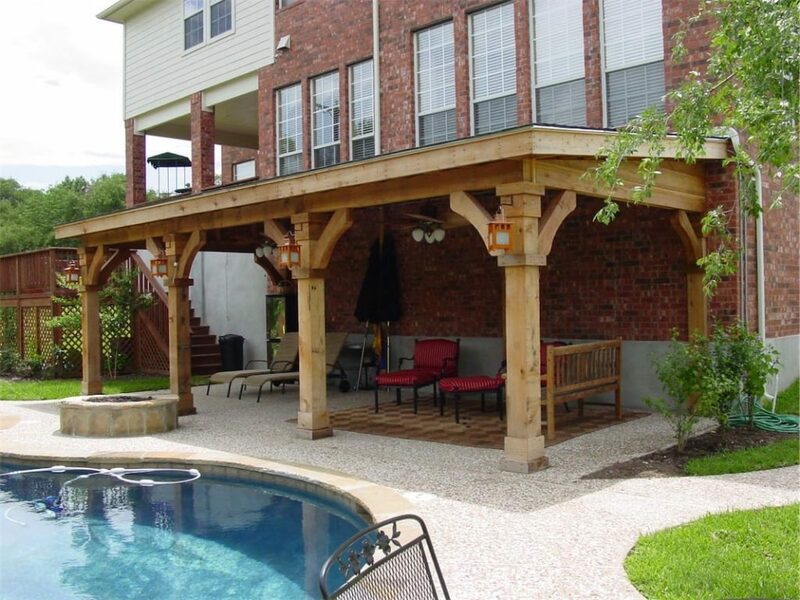 If you wish to maintain the existing light coming into your home then another option might be a covered pergola. 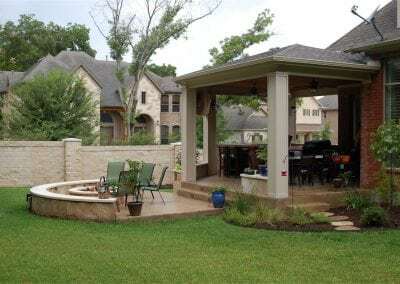 Work with our designers to decide what is the best fit for the space you have and the type of space you want to create. 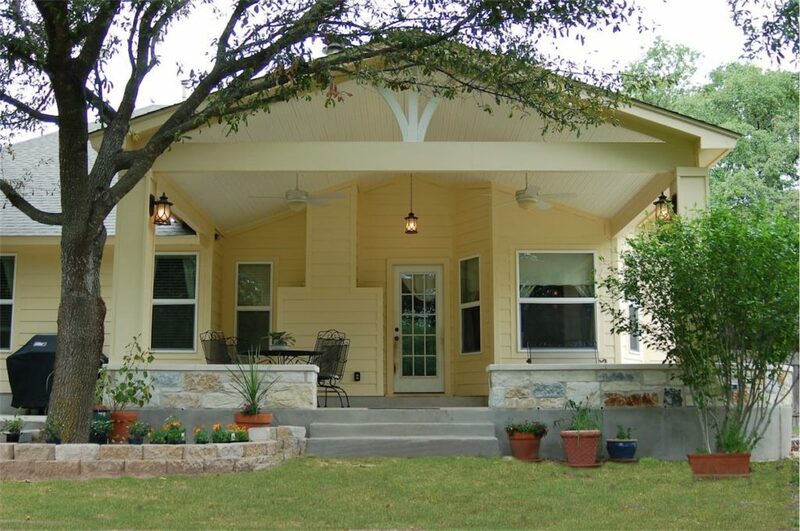 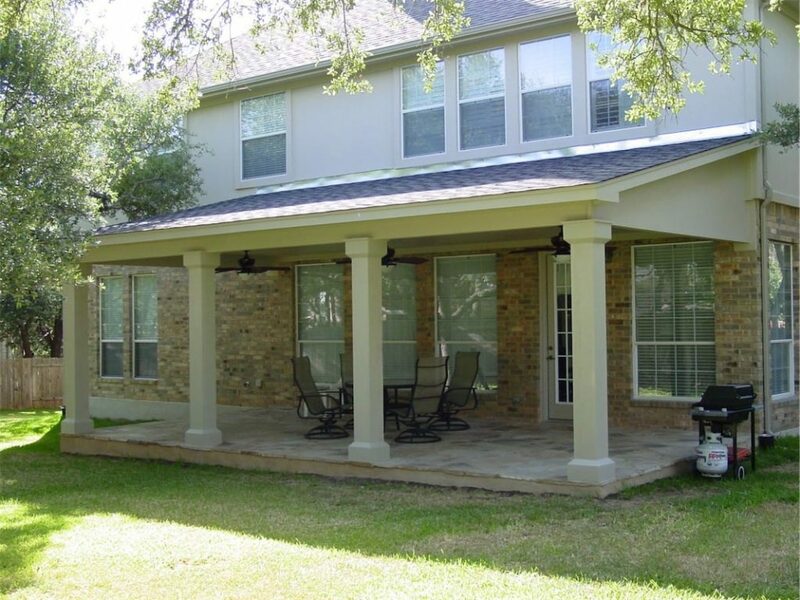 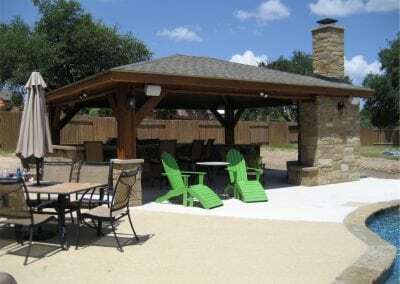 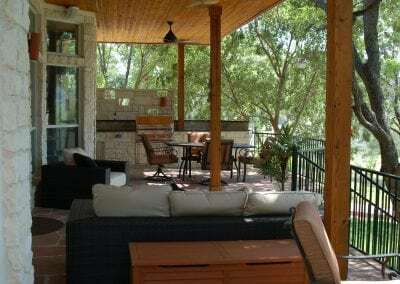 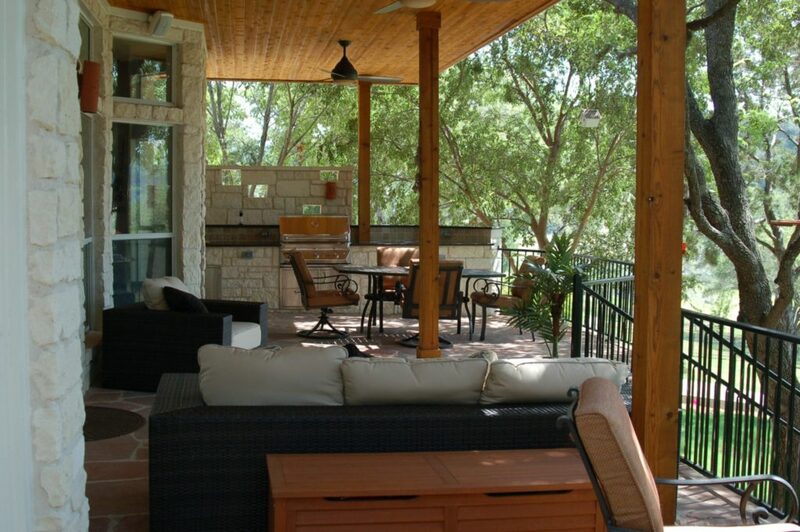 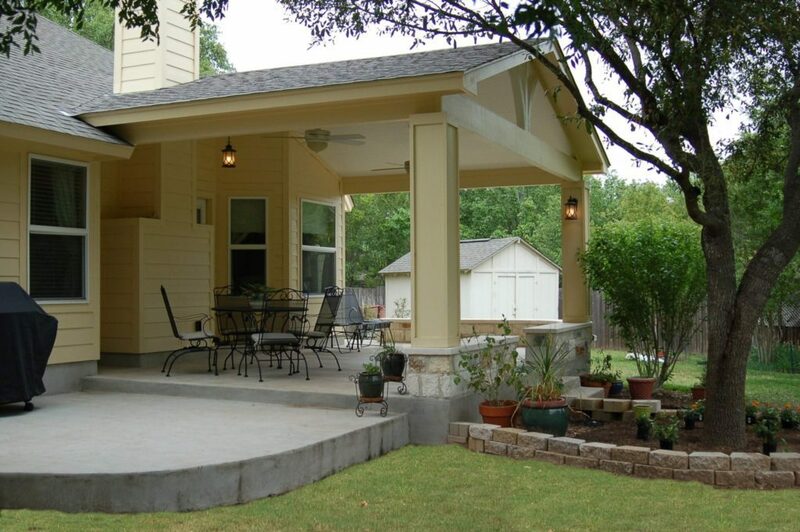 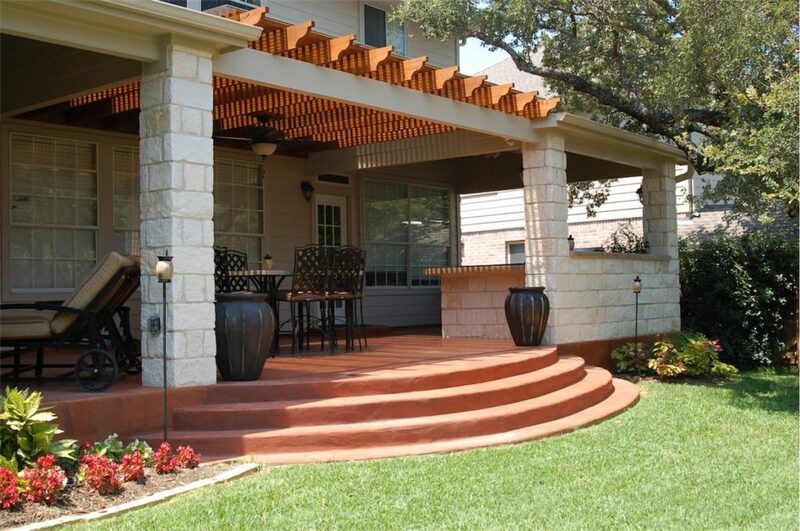 A patio cover can make your outdoor living space a usable space year round. 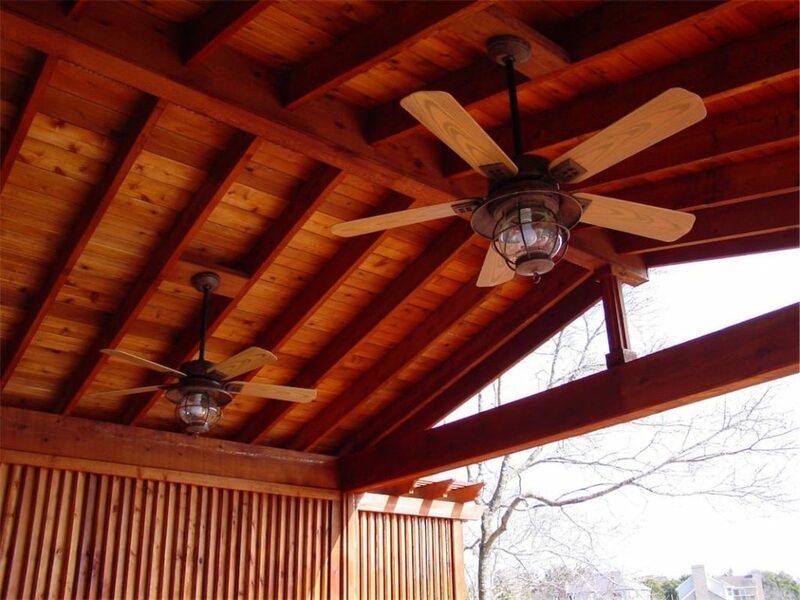 Options such as fireplaces, electrical heaters, or enclosed screen walls can keep you comfortable during the colder months and ceiling fans to keep airflow during hotter times of the year. 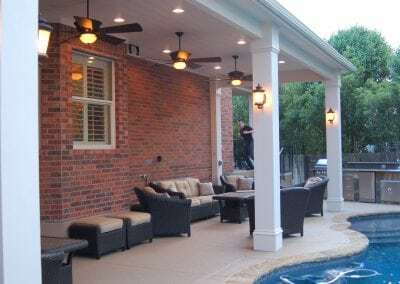 The complete weatherproof coverage makes televisions, sound systems and lighting options available when adding a patio cover as well as increasing your furniture options to include more plush designs that would not be recommended in an area that is exposed to full sun or rain. 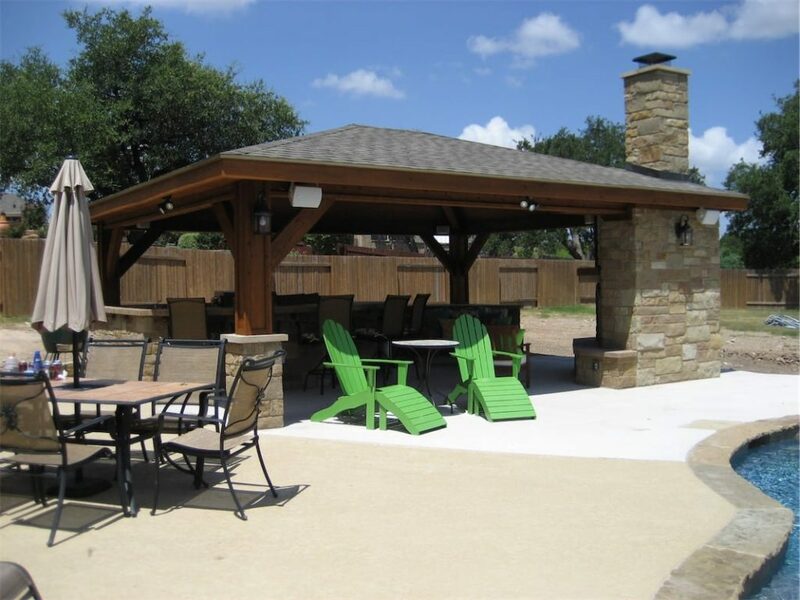 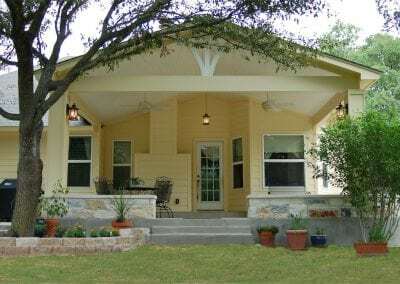 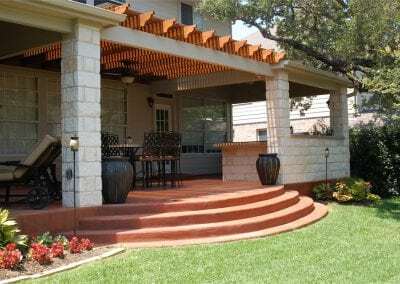 Ceiling options, flat or gabled, come into play when designing your patio cover and a wide variety of colors, materials, roofing options, trim styles, and numerous other choices make designing and building a patio cover a truly custom experience. 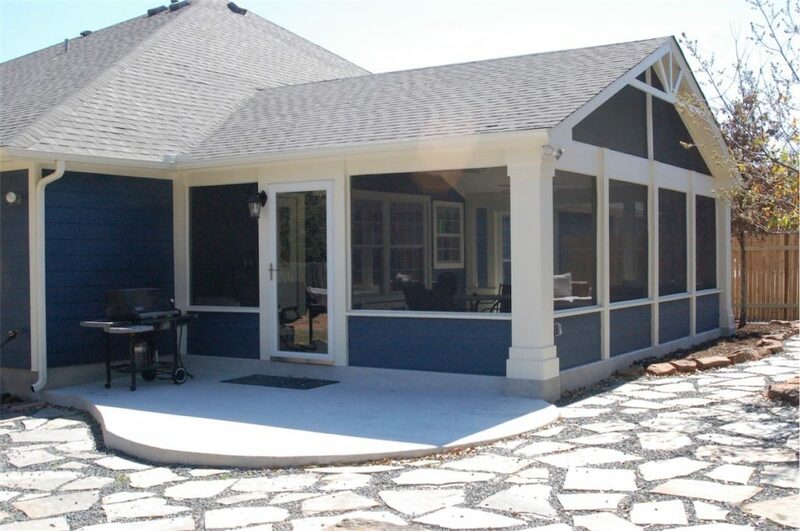 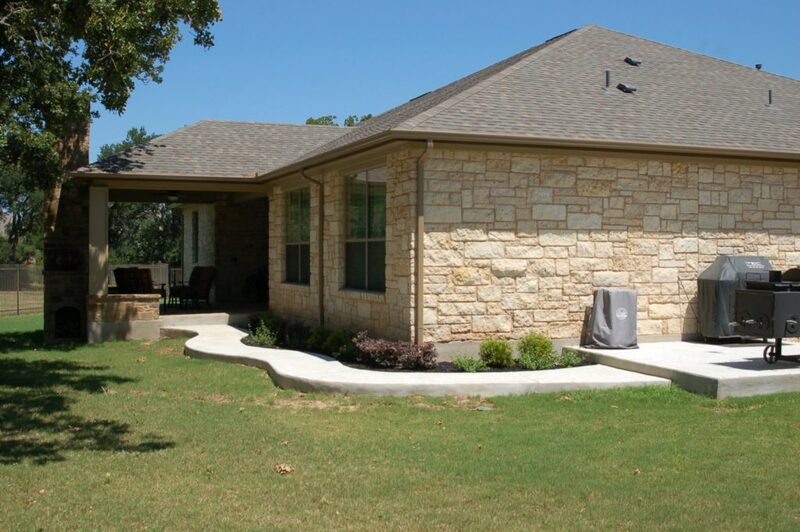 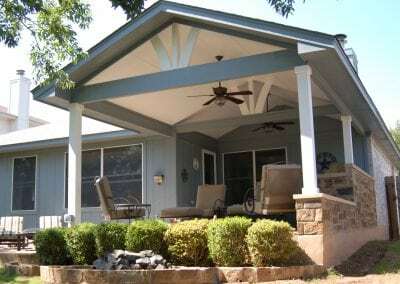 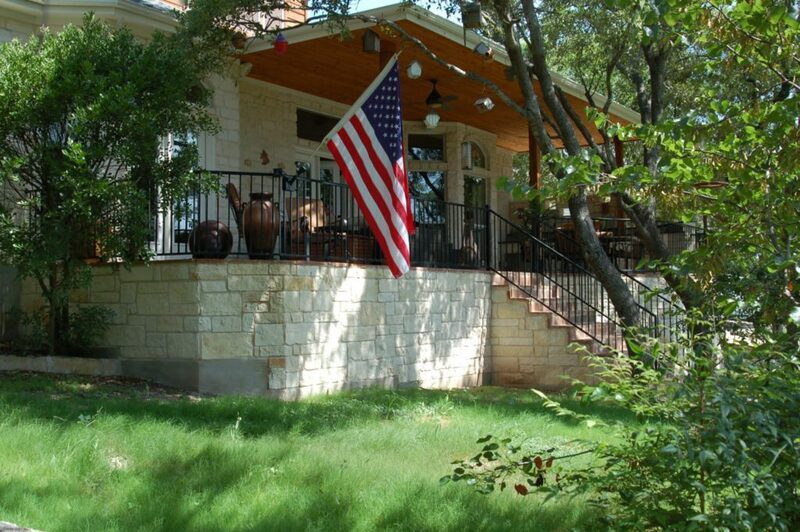 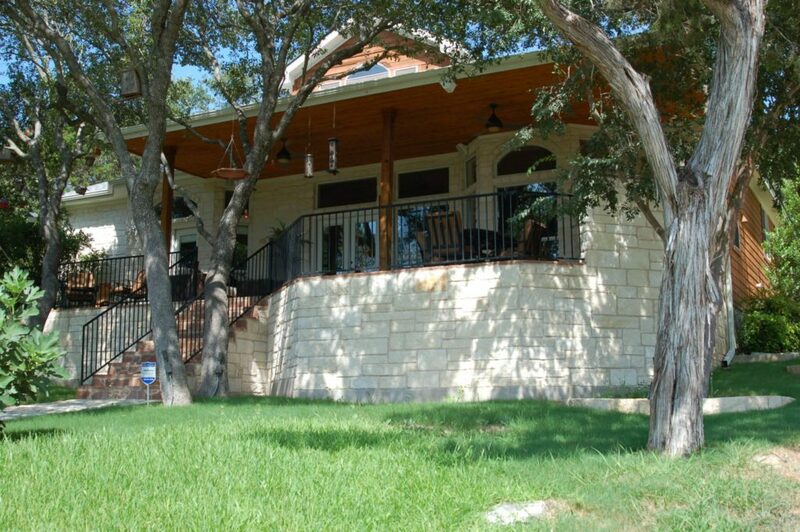 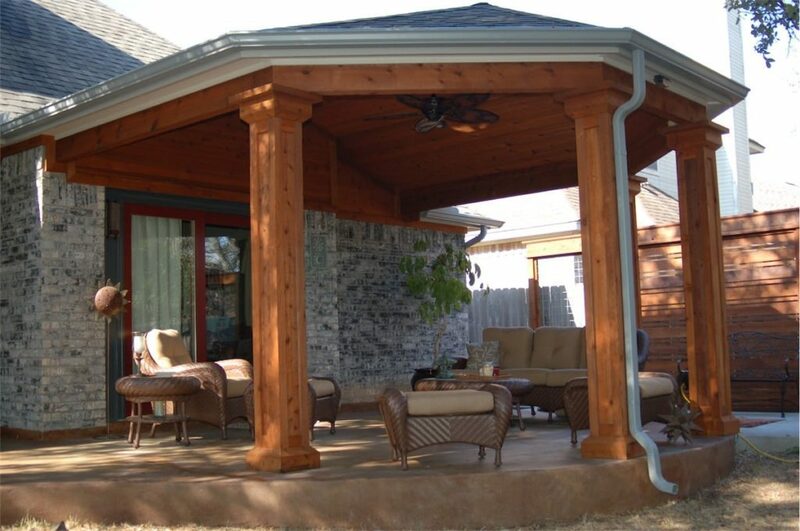 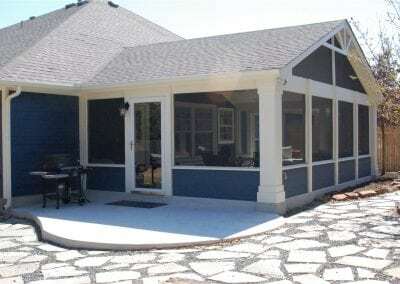 Planning is the key component to creating a beautiful and usable year round patio cover. 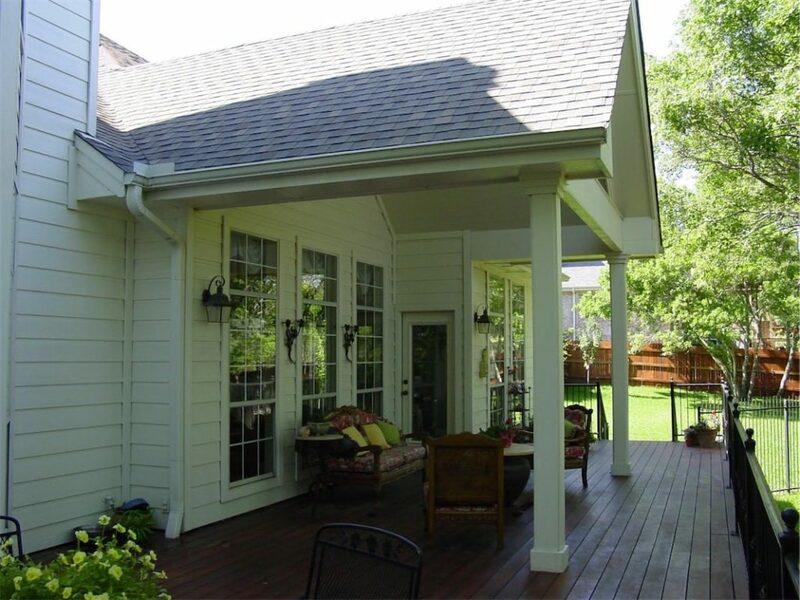 Our expert designers will walk you through the process and create 3 dimensional renditions of your new patio cover, making the numerous decisions easier. 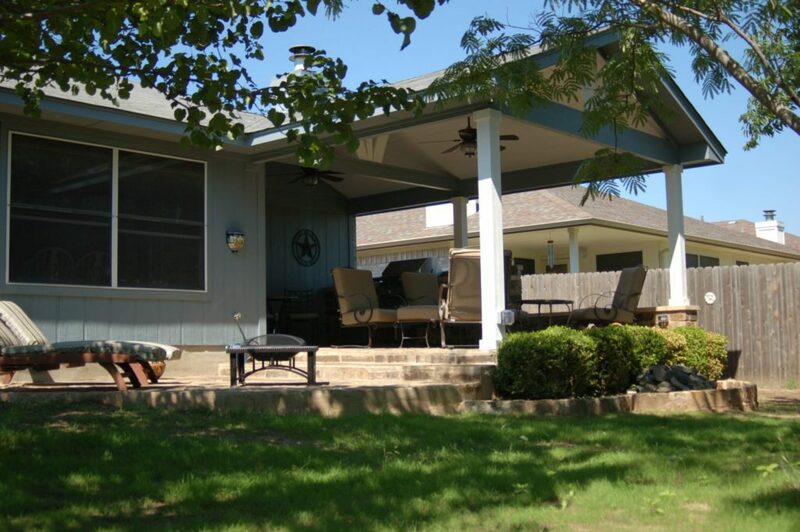 You will get to see what it looks like before a board is ever cut. 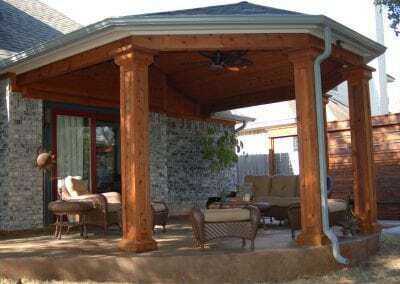 A well thought out patio cover can be the base to an outdoor living area that can be expanded in the future without limiting your options.